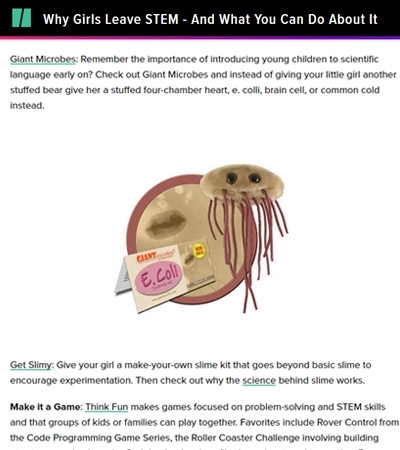 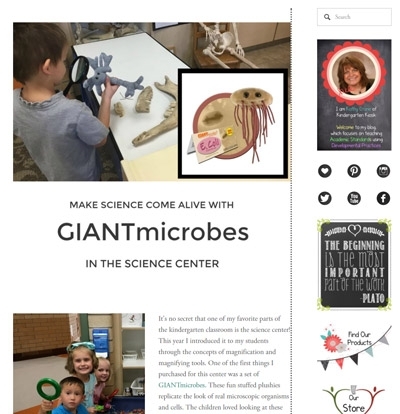 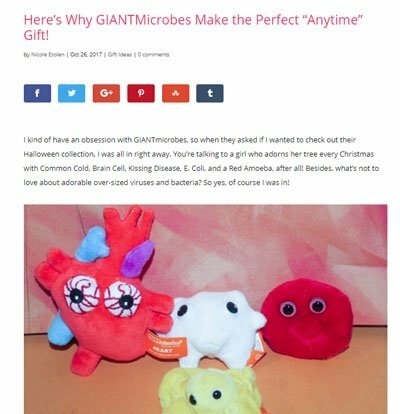 Founded in 2002, our mission here at Giantmicrobes Inc. is to produce unique and interesting gifts for children and adults alike. 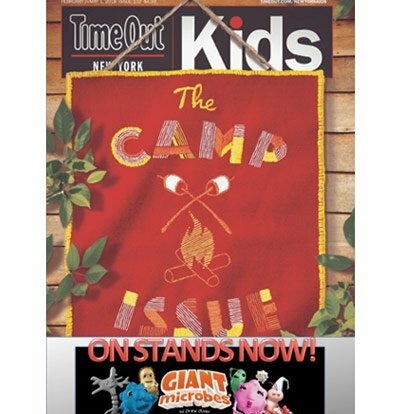 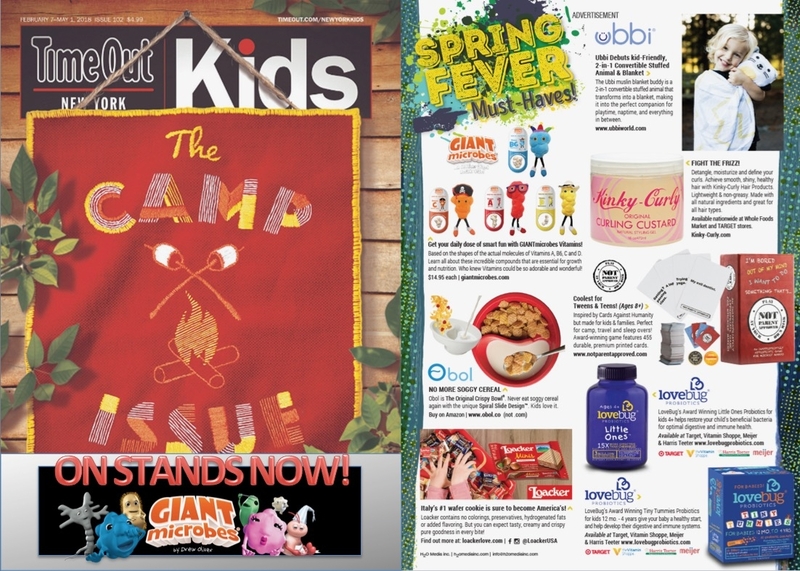 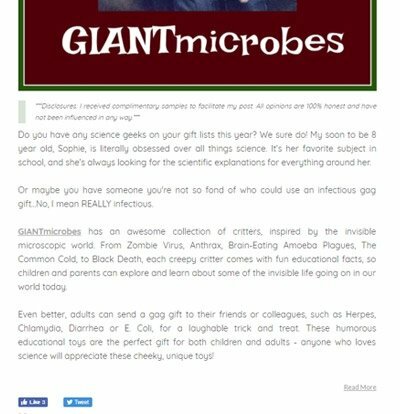 Whether your interest is educational, medical, or just plain old entertainment, we're your number one source for all things microbial! 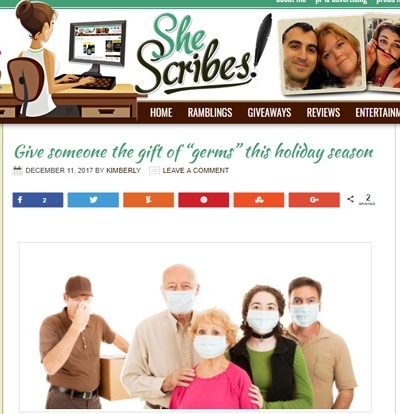 Scroll over any thumbnail to preview or click to access the full article. 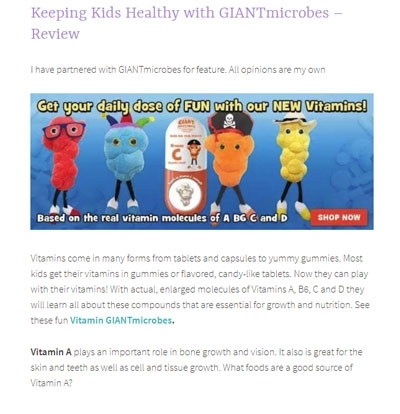 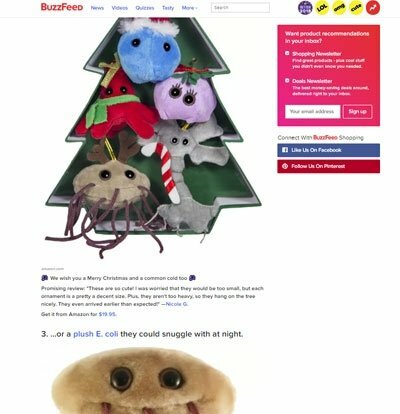 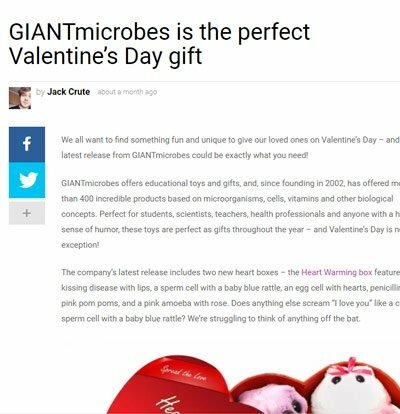 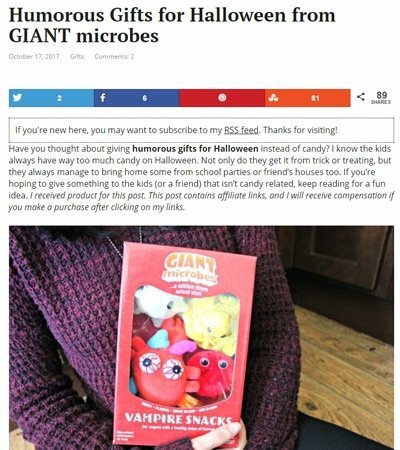 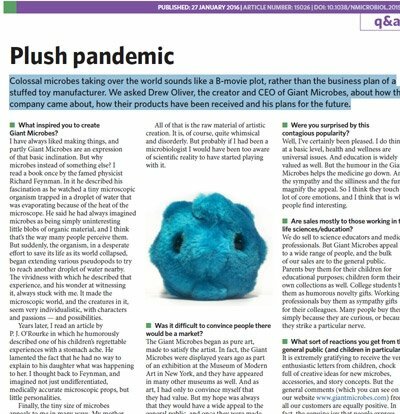 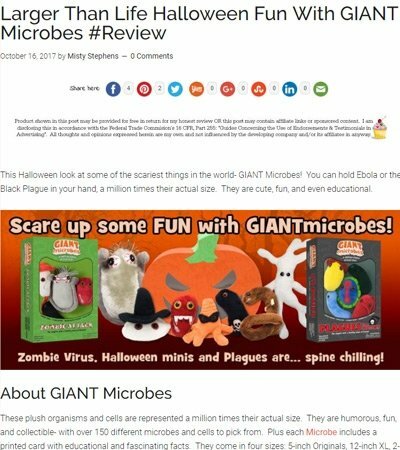 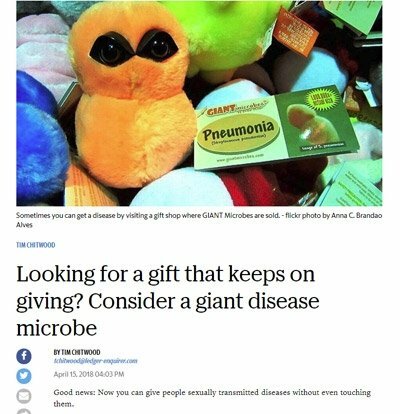 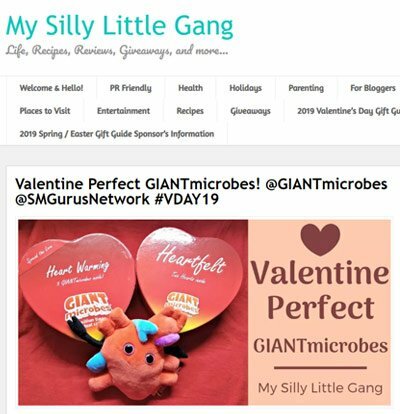 Note: We request that any press stories that are run about Giantmicrobes, Inc. be forwarded to us at info@giantmicrobes.com or faxed to us at 630-604-3924. 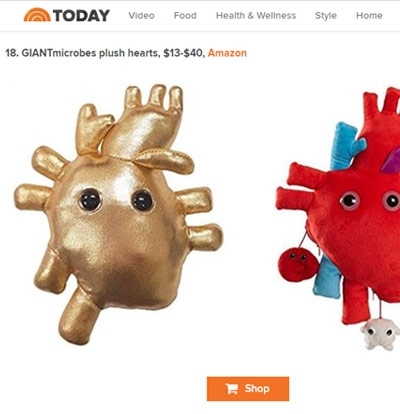 GIANTmicrobes® is a registered trademark of Giantmicrobes, Inc.